Mass Effect 2 is finally here on the PlayStation 3 with six hours of bonus content and a few twists and turns to improve the overall flow of the gameplay. For the uninitiated, Mass Effect 2 returns gamers to protagonist Commander Sheppard, a man who must once again confront a deadly foe. With something abducting human colonies through space, it's time to once again assemble your A-Team to stop this new threat. The PS3 version also comes with a great digital comic that is basically a recap of the original story and helps put things in perspective for those who have never played Mass Effect 1. Even though I played the original game on the XBox 360, you really don't need any former knowledge to satisfyingly finish this game. A huge applause should also go out to BioWare for adding all the DLC from the other console formats because you will be playing this game for a very, very long time. Not only is it value for money but it will stimulate your gaming endorphins to euphoria. So enough of the story, what about the game? 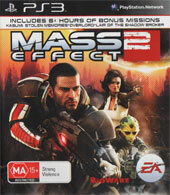 Mass Effect 2 is a classic science fiction RPG title that is reminiscent of Bioware's Jade Empire or Knights of the Old Republic. 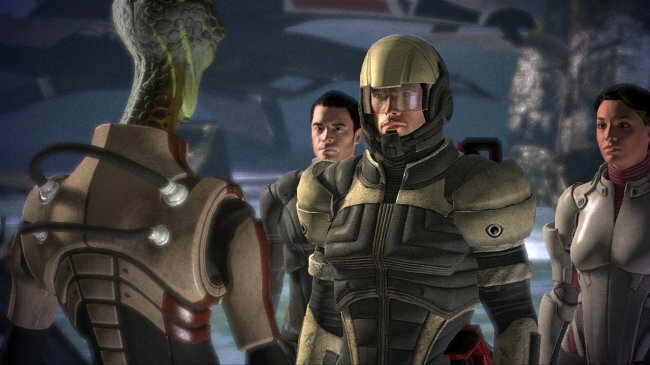 However unlike traditional RPG titles, Mass Effect 2 changes the way combat is done. 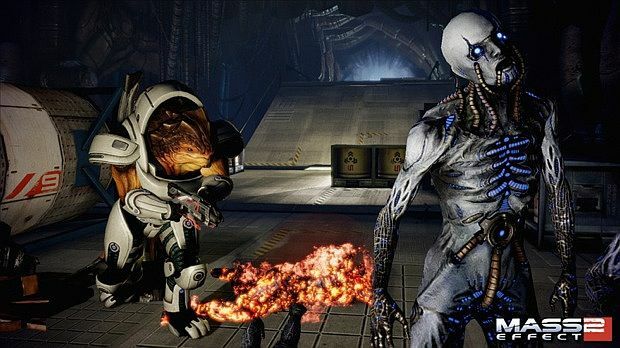 At times, Mass Effect transforms into a third person shooter with cover mechanics to boot as you go head to head with aliens and humans from around the galaxy. As you embark in missions and objectives for a variety of NPC's, customise your characters, add new characters to party, upgrade, find weapons, find equipment, the scope of Mass Effect can be quite daunting at first but boy... is it an enjoyable ride. Also, if this is your first time to the Mass Effect 2 universe, the game contains a sliding difficult scale to help tip the balance in your favour. Thankfully after the amazing cinematic introduction, the game doesn't throw you into the deep end just quite yet. Though things start with a bang, the game has a careful progression level of difficulty. It will teach you the basics and before you know it, Shepherd and his crew will soon be kicking goals. But of course, this is all dependent on the choices you make with NPC's, thanks to the dialogue tree. You even have access to the Normandy, your spaceship which requires you to visit different planets to complete missions, find resources and upgrade your technology. Another difference with this game and the original is that the interface has been streamlined and whether your engaging in enemies or flicking through the main menus, everything seems more fluid without the player getting lost of frustrated. 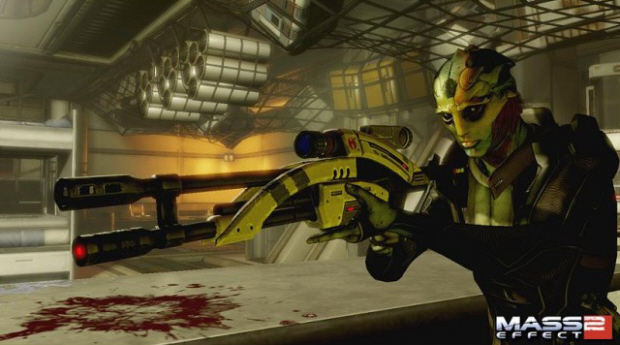 Combat is the key to Mass Effect 2, apart from the great characters and story. It's very strange that an RPG game uses a third person shooter mechanic as opposed to a more traditional interface. At times, it was like playing Gears of War or some other third person shooter as I ducked behind crates and attempted to shoot my enemies dead. 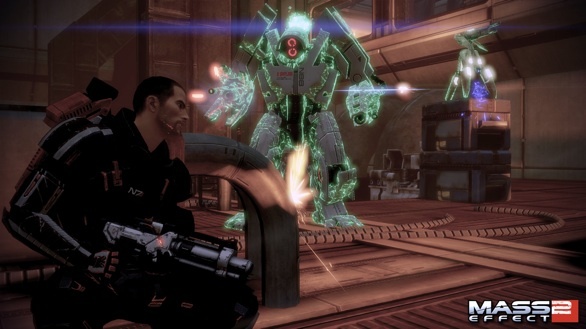 The cover system of Mass Effect 2 works quite well and unlike the limited approach from the first game, it does require the player to think out their battles in order to get the upper hand. Your AI party members received a facelift as well and no longer require your main character to win the battle, although it does help. Unfortunately enemies have access to an advanced AI mechanics but this makes things more realistic as opposed to a set number of limited options. The controls are well mapped on the DualShock controller so you won't be fiddling to find the correct button, whether it's X, using the analog stick or one of the shoulder buttons, it just feels right. All in all, the gameplay comes together rather smashingly on the PS3 as you play the main game and attempt to finish the three bonus missions that were originally released as DLC. Graphically, Mass Effect 2 is a good looking game. The cutscenes look amazing and some careful work has gone into designing this title that compliments the story rather well. The in-game graphics are just as exceptional as the cutscenes and looks quite realistic. The Zombie eyes are almost gone. The various locales that you explore look quite different thanks to the varied textures and strange alien designs. Voice acting is quite professional and doesn't seem contrived or too forced but suits each character perfectly. Ironically, Shepherd is probably my least favourite voice and I'm not sure why but at times, he seems a little wooden. So here we are again, a few years after the original release and not even a year since Mass Effect 2 graced the XBox 360. But does this version hold up as good as the 360 version? The answer is yes and dare I say it... probably even better. It's not because the gameplay is better, it's because BioWare have bundled everything you need onto one handy Blu-ray disc. Mass Effect 2 is one of the best RPG titles on the PS3 in quite some time and usually this genre is quite neglected or has poor third party releases. It goes the extra mile through story, gaming and graphics which you can really tell while you are playing. It may eat away your life for a considerable amount of time but once you have finished, you'll be sad because your Mass Effect experience will be finished. This is a must have game for the PS3... bring on Mass Effect 3!